In a 10 inch Dutch oven, heat oil to 375 degrees. Drop the batter by teaspoonful’s into the hot oil. Don't overcrowd; leave room for the hushpuppies to be turned. Cook the hushpuppies until golden brown, about 3 minutes. 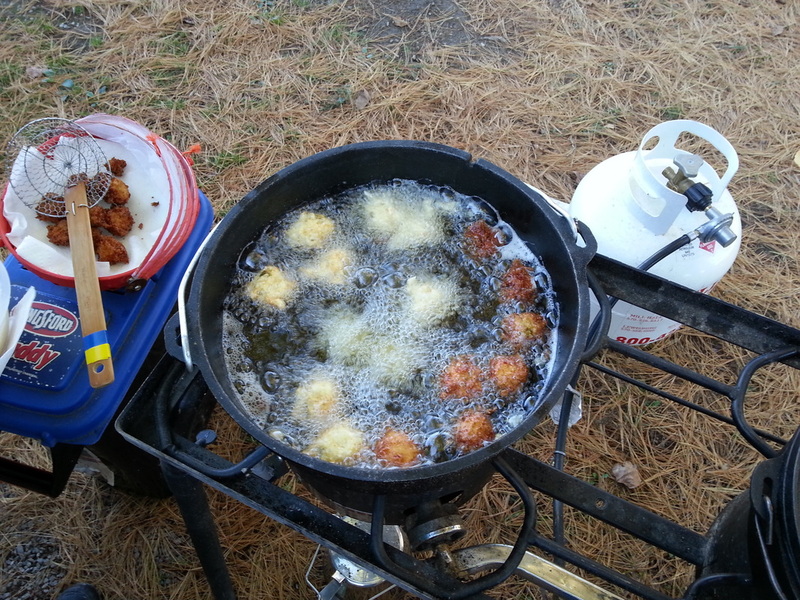 Keep the cooked hushpuppies warm in an oven while cooking the remaining batter. Lightly sprinkle with salt and pepper, to taste, and transfer them to a serving dish.